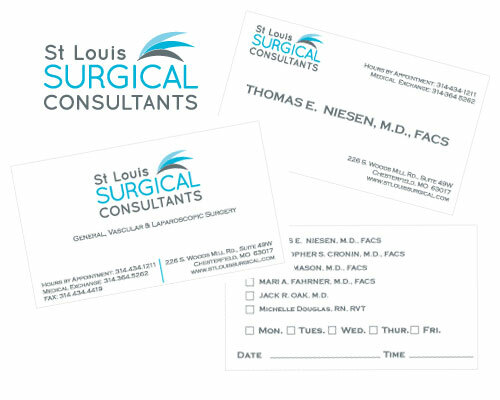 Building a brand image for St Louis Surgical Consultants. More and more medical practices recognize the importance of developing a brand image. I have recently been working with St Louis Surgical Consultants in developing a logo and print collateral pieces as well as a web site. The web site is still in the works put the logo, business cards, letterhead and appointment cards are now complete. This entry was posted in Chicago Branding, Chicago Graphic Design, Chicago Logo Designer, Logo Work and tagged Branding, Buisness Card, Letterhead, Logo Design, website. Bookmark the permalink.